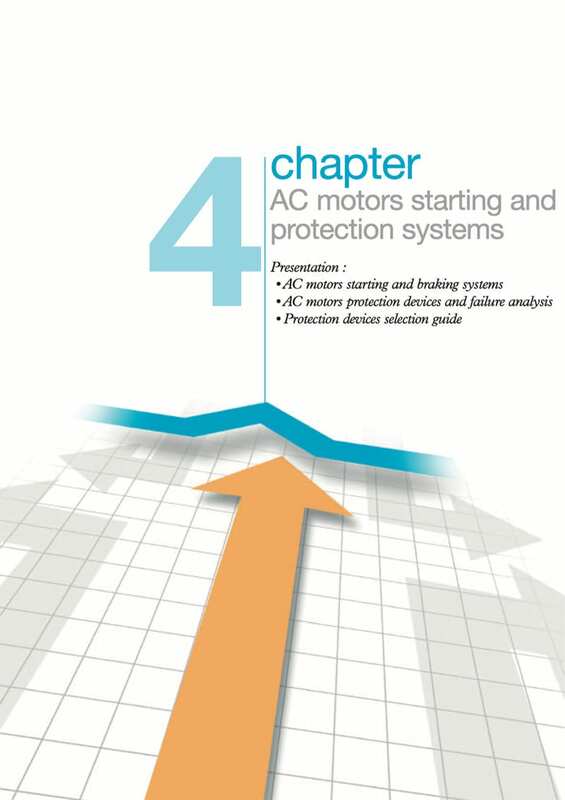 This guidance is devoted to starting and braking systems and the protection of asynchronous motors of all types. Motor protection is required to ensure the installations work properly and to protect machines and equipment’s. 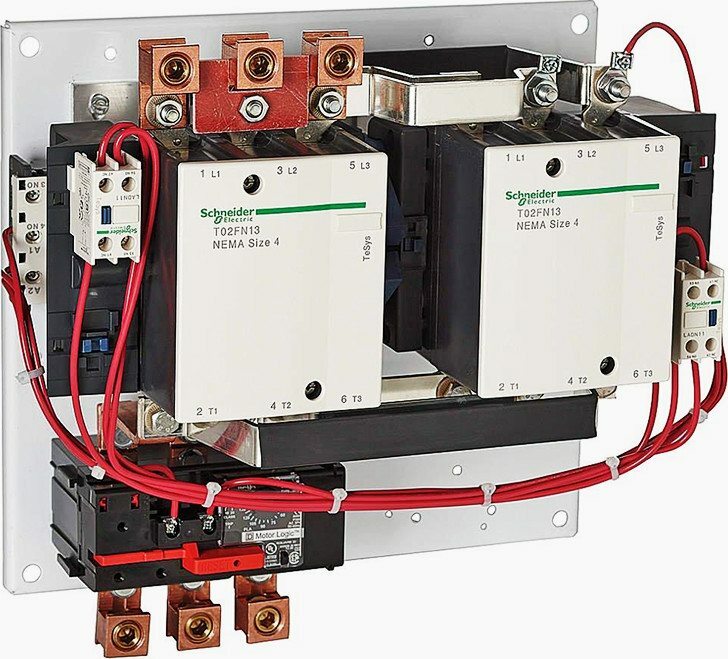 When a motor is switched on, there is a high inrush current from the mains which may, especially if the power line section is inadequate, cause a drop in voltage likely to affect receptor operation. This drop may be severe enough to be noticeable in lighting equipment. To overcome this, some sector rules prohibit the use of motors with direct on-line starting systems beyond a given power. There are several starting systems which differ according to the motor and load specifications. The choice is governed by electrical, mechanical and economic factors. The kind of load driven is also important in the choice of starting system. This is the simplest mode, where the stator is directly connected to the mains supply. 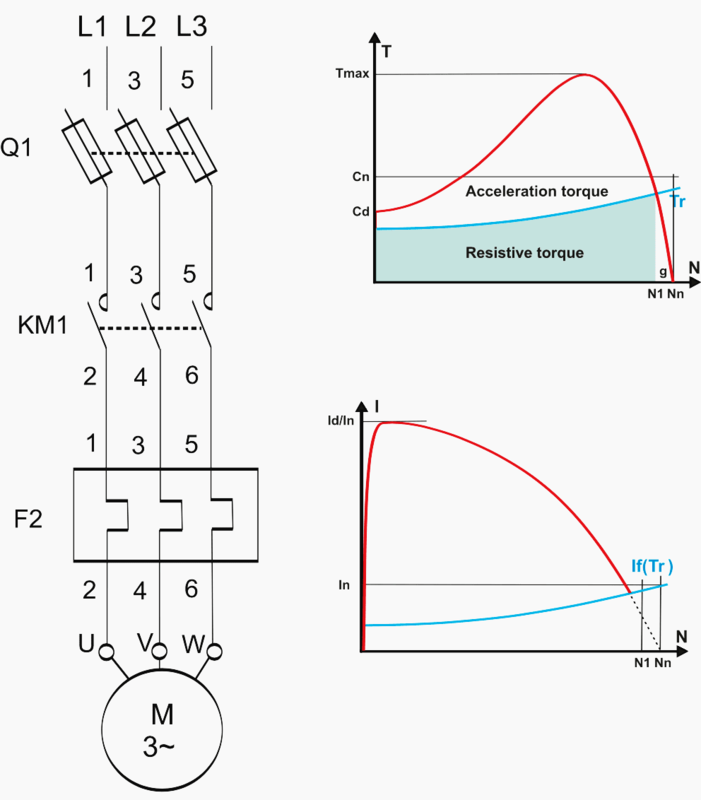 The motor starts with its own characteristics. When it is switched on, the motor behaves like a transformer with its secondary, formed by the very low resistance rotor cage, in short circuit. Current on starting = 5 to 8 rated Current. The average starting torque is: T on starting = 0.5 to 1.5 rated T.
The starting torque can be high without affecting machine operation or the load that is driven.